Videos, Levels, Weapons, Solo Missions, Forums and More! I have something for all you GoldenEye fans to check out! A fellow by the name of Jim Miskell of Woodhouse Pictures has just released his film "Going For GoldenEye" which is a GoldenEye N64 mockumentary. This is a must watch! View the film here on YouTube here.I spoke with Jim prior to the fiming and it was great to chat about the legacy of the game that refuses to go away. I've launched a YouTube Channel. I have a review of the GoldenEye Reloaded game. 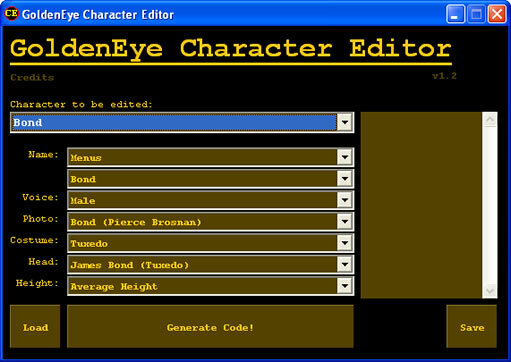 Read my review here.I'm writing a tutorial for GoldenEye on PC, which you input to your HDTV. You will be impressed with GoldenEye N64 version on an HDTV powered by PC and not the console. I hope to add a tutorial that will get your original N64 controller thumbstick back closer to its former glory. Those 3rd party thumbstick replacements are sketchy so I'm looking as a repair and cleanup instead. Check out our GoldenEye blog! If you crave N64 GoldenEye, check out GoldenEye on PC and play online flawlessly! 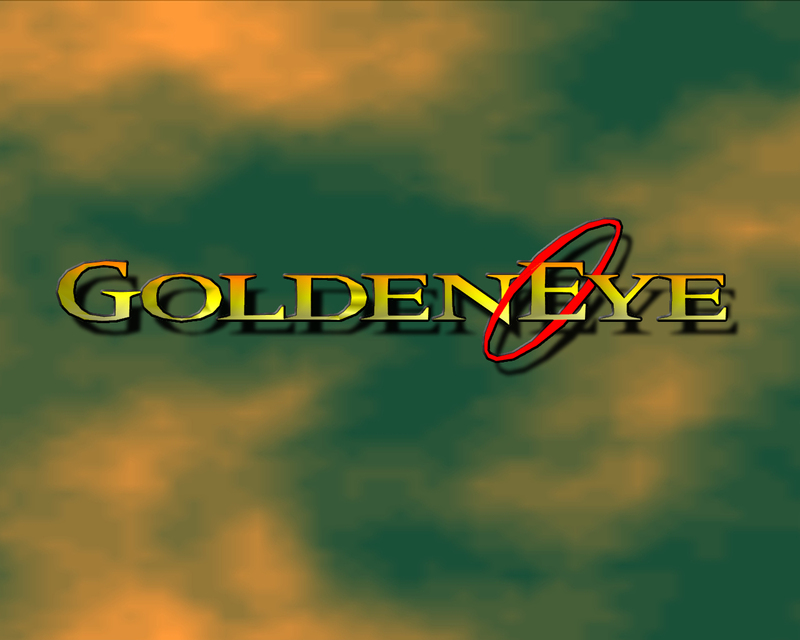 Visit our forums for new GoldenEye releases. An quick update here in late 2017. Something is brewing with the Nintendo 64 but it's all rumor at this point. However the expression "where there is smoke, there is fire" comes to mind. I'm going to do what I can to convince Nintendo of the greatness of GoldenEye even in 2017 and what the possibilities are.Right now eSports is a serious business and as you've witnessed here, I'm a firm believer (and always will be) that 2-player GoldenEye is unmatched by any FPS game, now and in the past. Emulation and GameSharks have allowed us to push the boundaries of GoldenEye 007, but at its core, it's still as solid as you can get from a fairness and gameplay mechanics perspective. I'll have more details to follow, but trust me, there are going to be things going on behind the scenes. As the expression goes, nothing ventured, nothing gained. When I see an potential opportunity, I'm going full throttle to see if I can make something happen! GoldenEye is an evolutionary game. Lets take a look at what is happening after so many years. We are hot on the heels of a new GoldenEye Wii release. From all accounts, it's an amazing GoldenEye game. Is it the original? No of course not. It is however much better than any GoldenEye or 007 game that has come out probably since GoldenEye N64. Can we all blame EA for that? Unfortunately it seems that EA didn't exactly do 007 games the true justice they deserved. Their sales and success indicate that they got a failing grade. Activision is a ray of hope for 007 video games. I still do believe that the original GoldenEye N64 will come out on the Xbox and on the Wii. The reason is obvious why they couldn't release it before. How could they release that game if they have been working on GoldenEye Wii for the past 2 or 3 years? They simply couldn't. That's why we settled for Perfect Dark on the Xbox. No guarantee that it's going to come out, but I hope it does. That said, I'm not impressed with how Microsoft handled the Xbox Live Arcade version of Perfect Dark. They prove once again that they can't help but mess with a great game and that they must make changes to it even though they claim it's the original N64 Perfect Dark. So I guess part of me is a little worried about what they would do to the original GoldenEye if they came out with the original game on these new consoles. Gameplay? Yes, that seems pretty darn good even by todays standards. When I haven't played for a couple months and then play again, I'm never disappointed. This keeps happening so I can confirm the game hasn't lost playability over time. We can't forget that in 2008, 007 GoldenEye N64 can be played online and including multiplayer with Mupen64k or Mupen64++ emulator. Rumour has it that there is going to be an even better performing online engine! 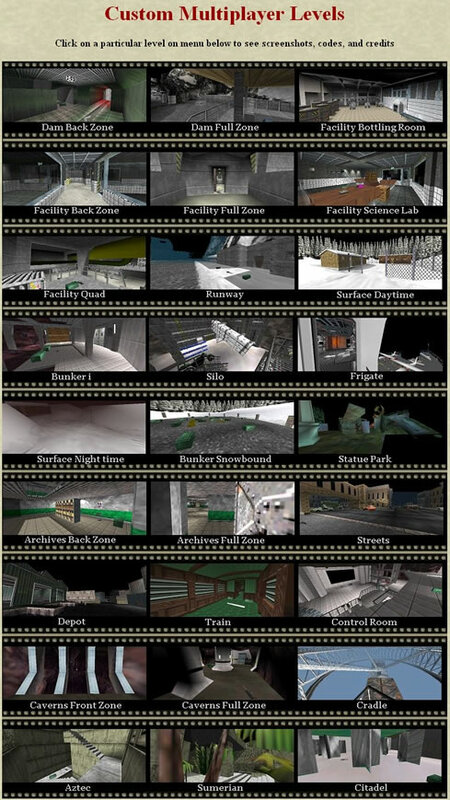 Perfect Dark levels G5, Grid, Car Park, and Chicago in 007 GoldenEye N64 as multi levels. Block Fort from Mario Kart as a new multi level! New missions as good as Rare! All single player levels have been converted into multiplayer. GE on PC gives you hi-res graphics, faster framerates and use a usb adapter for your original N64 controllers. I bring you tips, tricks and strats. Re-learn what you might have forgotten! Forums for the new multi levels and missions! Well let's see....Nintendo it seems squashed 007 GoldenEye N64 coming out for another rebirth. Not just a release, but an overhaul of our beloved 007 GoldenEye N64 including online gameplay and spiffy new graphics. Sounds like the game makers finally got it right. The game cannot be duplicated, cannot be bettered, so you are better off re-releasing it. Too bad that likely is never going to happen. In closing on this depressing subject, I must ask why would they invest so much time on this game if they didn't have every company onboard with releasing it? Apparently Rare was working on this for a year. Crazy to me for that investment especially IF Nintendo and others weren't signed and sealed on the re-release of 007 GoldenEye N64. GoldenEye forever? It was close eh? On to the more important matters. Things keep moving along with GoldenEye on PC. Let's get one thing straight. This IS the evolution of GoldenEye. I keep saying it, but the bar keeps getting raised, and then raised some more. This is all thanks to the geniuses like Wreck, SubDrag, Zoinkity, bmw, and others (sorry not to mention all you guys here). We've seen recently levels from other games such as Block Fort (Mario Kart) and a few levels from Banjo Kazooie as full fledged 007 GoldenEye N64 multiplayer levels. Yes, all playable online flawlessly. So now we have Subby and the boys bringing the Perfect Dark multiplayer and single player levels into GoldenEye multiplayer! Many of them already exist and Zoinkity was the first to bring us G5 and Car Park in GoldenEye multiplayer. Many more now! See Villa here! 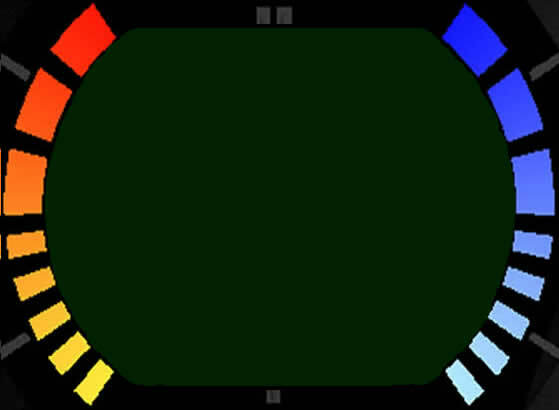 It looks like any part of Perfect Dark, multiplayer or single player levels, can be brought into 007 GoldenEye N64 multiplayer. Don't believe me? Well read this now! And even more recently, Halo multiplayer levels are being attempted for GoldenEye multiplayer. Yes, Wizard and Hang 'Em High. Read about it here. Bmw has created a multiplayer level that is entirely his own creation! See it here. Oh yes, even a happy level from Mario 64 is being attempted! Read about it here. So, if you see and read what I'm saying, you do realize that once again 007 GoldenEye N64 is evolving. A game that won't go away regardless what Nintendo thinks. If you want to keep up with the latest GoldenEye codes and multiplayer levels, then check out the message boards. Things are happening faster than I can keep up with here, so keep updated there. The hacking gods visit there so you know you're getting the greatest and latest on the world of 007 GoldenEye N64. As I say so often, I'm grateful for the scene you guys have helped to maintain. It's great. The game doesn't die, nor should it. GoldenEye forever. Some of the coolest 007 GoldenEye N64 Gameshark codes on the planet are here. Of course you can thank the gods like Wreck, Zoinkity and Subdrag for the continued evolution of GoldenEye mutiplayer. Yes it really is amazing when you think about it. BMW created this masterpiece of a webpage that features all the converted single player levels into multiplayer. I should have posted this months and months ago because he's had it up for some time now. Please enjoy the codes. Click on the image to go to the page! BMW is a new hacker who has released some amazing new multiplayer levels. Some very innovative ideas and blocking off of levels. This new multiplayer level incorporates a portion of the Facility backzone with the many rooms and tight corridors. Lots of fun stuff to blow up! Check out this video of the Science Lab. We played a 2 player game with All Shotguns. There was just some incredible cinema to be had with the canisters and shattering glass! Enjoy. You want the codes? Visit the forums here. This code has been around for a while apparently but I've only discovered it. Zoinkity created this masterpiece which shouldn't surprise you. This is one of my favorite codes ever! It allow no body armor on every multiplayer map. This was NEVER possible before! It is a short code which makes it even sweeter and it works for all players. Below is a screenshot of the code in action! You choose Dr. No in the cheat menu and viola, body armor no more. Pad is the man once again. 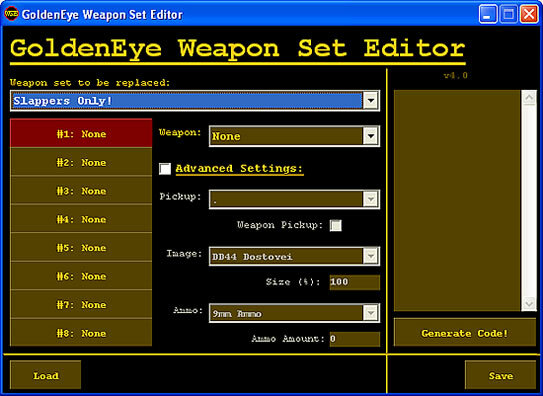 This is an essential part of using the Weapon Set Editor (see below) because this 007 GoldenEye N64 String Editor allows you to create the name for your new custom weapon set. In fact, this string editor can edit virtually any text you find in the game! It's a simple to use interface and I replaced the entire multiplayer weapon set list in minutes using this editor. Pad is the man you should thank! PaD has been on the GoldenEye scene again and here's what you get. An all new custom weapon set editor. Creating your own custom weapon groupings is as simple as picking the weapons from drop down menus. You can replace or modify any of the existing default weapon groupings. This program spits out the codes for you! It's a beauty. PaD also released this wonderful character editor which allows you to simply modify any of the characters. You can get creative and mix and match costumes, suits, and heads! Wreck modified the GSCC utilities so that they work properly in Windows XP! 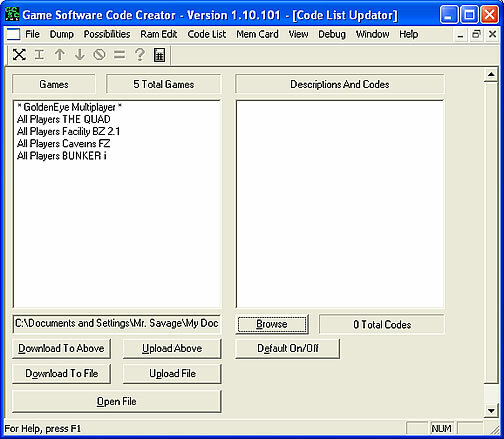 This is a must have for anyone wanting to save time when entering Gameshark codes. You need a pro version Gameshark with a working port on the back. Out of the shadows and Wreck releases this cool blood mode code for multiplayer. Yep you can turn up the carnage with this one! Kids close your eyes. Use the "over the top" code for the full effect! Wreck has converted this single player level into multiplayer with all the objects! Yes that means doors, glass and everything else. This shows just what is possible and proves that basically nothing is impossible. This level is as good as any of the originals! Wreck with yet another multiplayer level release. Have you noticed the theme here? I'm glad I don't pay him commission for every time I type his name on the site! Battle in the Facility backzone square room that has the juicy four platforms. You have more barrels than you can imagine! Explosions and more explosions! I put together a few interesting combinations of faces and costumes in a characters code in multiplayer that gives you at total of 55 characters. Here you see the geeky Biker, Terrorist, and Arctic Bond. In addition, you have 4 Oddjobs and 4 Jaws characters available in the same game. For us, single screen GoldenEye all started with the desire to play an ultra stealth style. 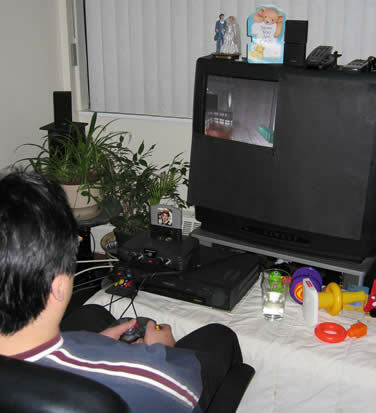 So, we hooked up 007 GoldenEye N64 using the PC monitor with tv tuner card and my television. We cut out some black construction paper, blocked off the other players screen and viola, we had 2 player single screen GoldenEye! Crude but effective. Our games at that time consisted of All Sniper Rifles, No Radar and LTK mode. It rocked. Then as all things, we evolved into have 4 televisions all blocked off for the ultimate GoldenEye death match sessions. We haven't gone back honestly. For now we like a steady diet of weaponry that don't allow for second chances. It's all or nothing. What's the point of having the damage display if you can't read your opponents levels I ask. So, we stick with combos like All Rockets, Golden Gun Fun and LTK mode with bullet style weaponry like All Phantoms or All Snipers. 007 GoldenEye N64 on pc emulator page featuring screenshots! Check out 18 GoldenEye emulator screenshots! It's one thing to talk about it, but seeing 007 GoldenEye N64 on PC really might open your eyes! Amazing is one word that I think of. Check out the screenshots page here. Read this interesting story from Martin Hollis who was the Rare producer and director for the GoldenEye Nintendo 64 classic. He gets deep into the creative process and decision making involved. A MUST read for anyone who's played the game! This fantastic sky is found only in Zoinkity's Citadel in multiplayer. This is a sharp looking wallpaper so I suggest you do the right thing. Grab it! This website was one of ten on the planet chosen to attend an all expenses paid GoldenEye: Rogue Agent community day at the EA studios in Los Angeles. It was an incredible experience and honor to be chosen. A huge thanks goes to Jon Long who really is Jon "the man" Long. It was amazing to see the game as it neared completion and to actually sit down and play the game with the lead designer. Read my story on the entire event. The year was 2000 and I was organizing a local 007 GoldenEye N64 Tournament. So I called a local radio station and said to them I'm the best player in the city and the tournament was going to prove it. They thought I was crazy enough that they did a spontaneous interview with me on the radio. Listen to me when I was a cocky young chap. Thanks Larry and Willy! Watch his amazing single player videos and see why they call him crazy. Because when your first name is Wouter, fast just isn't fast enough. Watch and see the fastest possible times on all the single player missions and difficulties. Is he cocky? You bet. Will you think that he is cheating? You bet. Is he the best? Watch and decide for yourself. Yes the year is 2012 and these are still my vehicle license plates. Yes I've been asked by other motorists if I really still play the game. Of course I always tell them. I've even been challenged by some guy who claimed that he was the best! Download two different versions of the 007 GoldenEye N64 soundtrack! This is sure to bring back memories if you haven't played in a while! GoldenEyeForever.com is a participant in the Amazon Services LLC Associates Program, an affiliate advertising program designed to provide a means for sites to earn advertising fees by advertising and linking to Amazon.com.